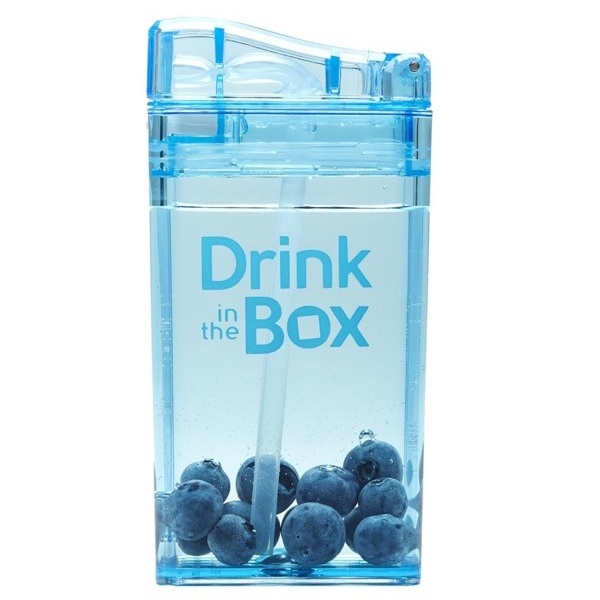 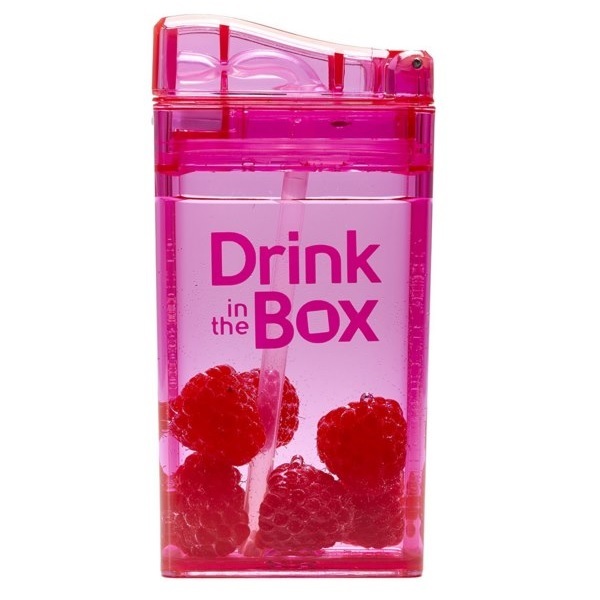 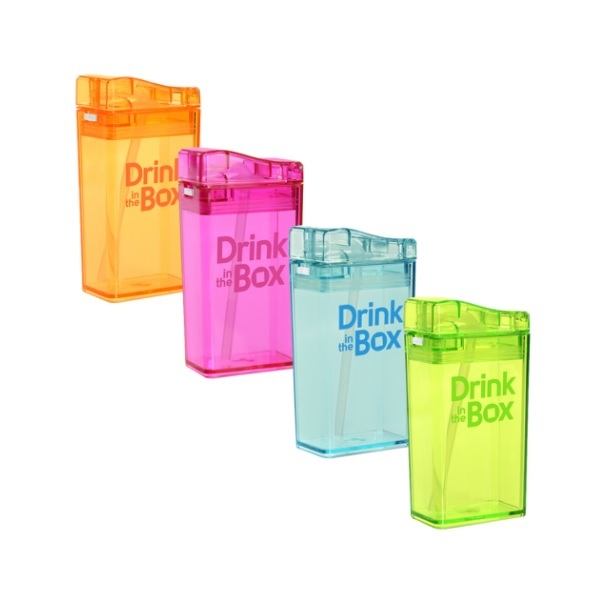 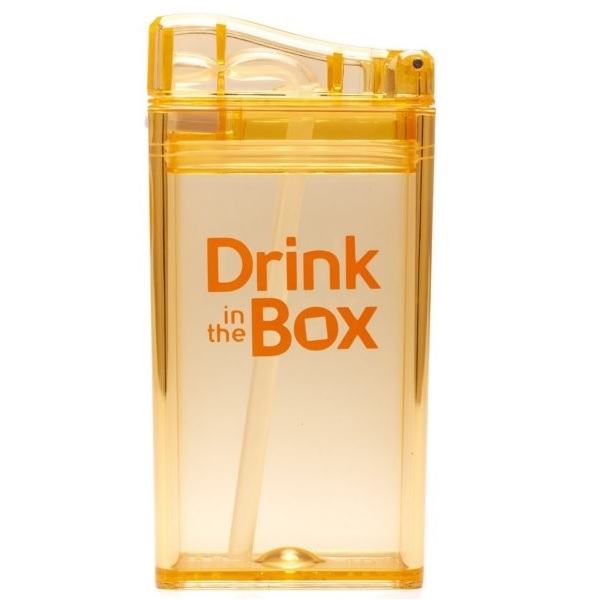 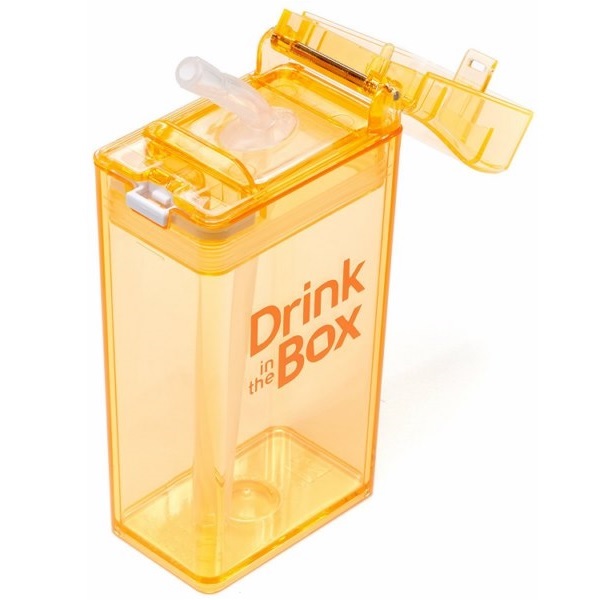 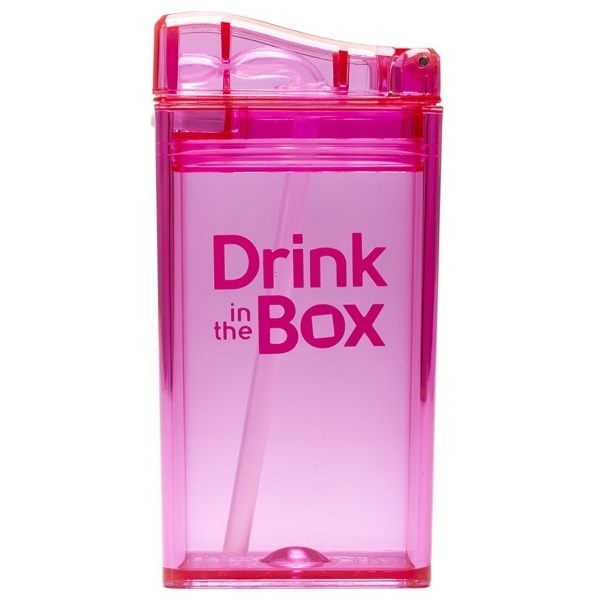 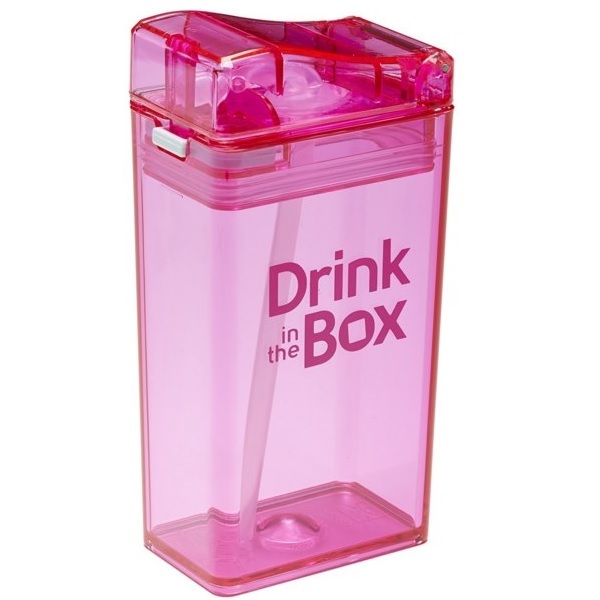 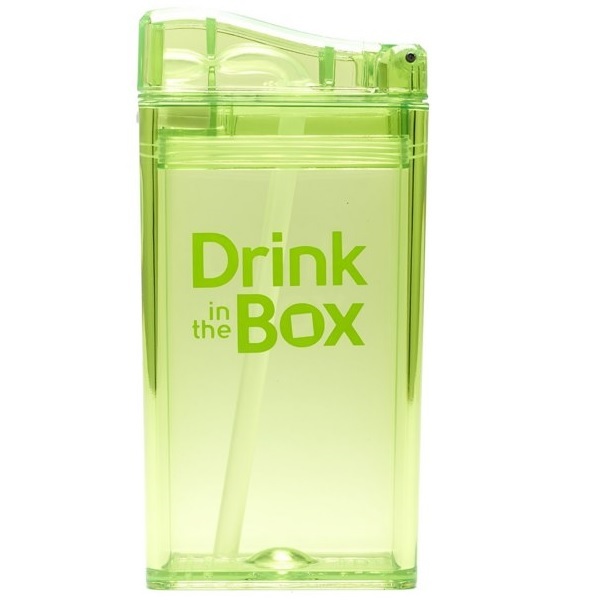 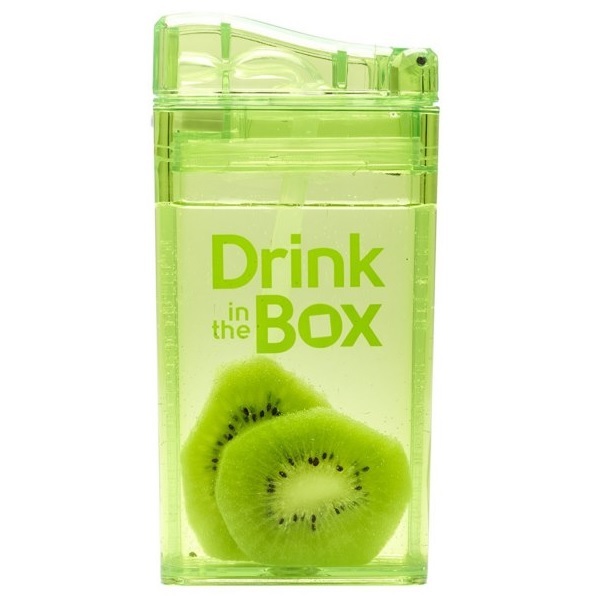 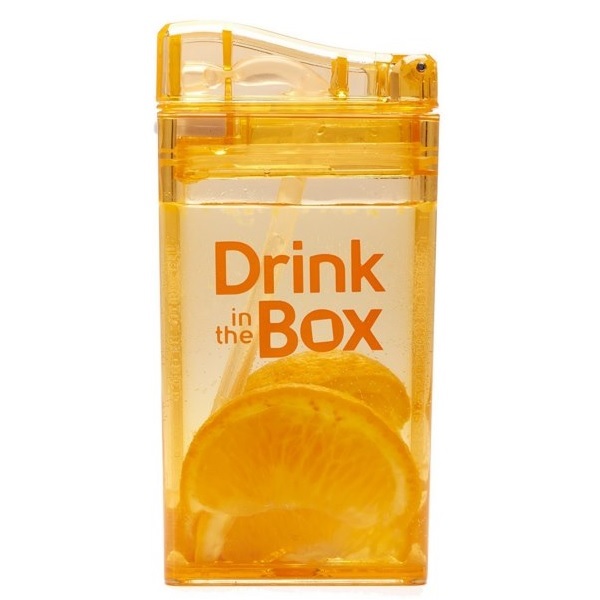 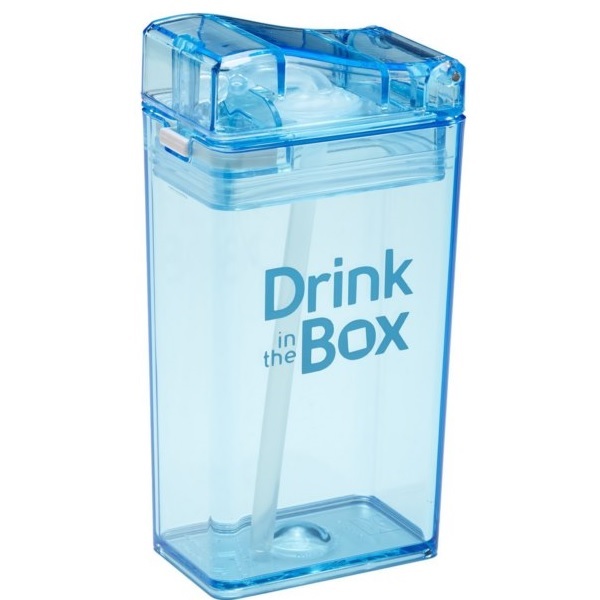 Drink in The Box is an eco-friendly, reusable drink container. 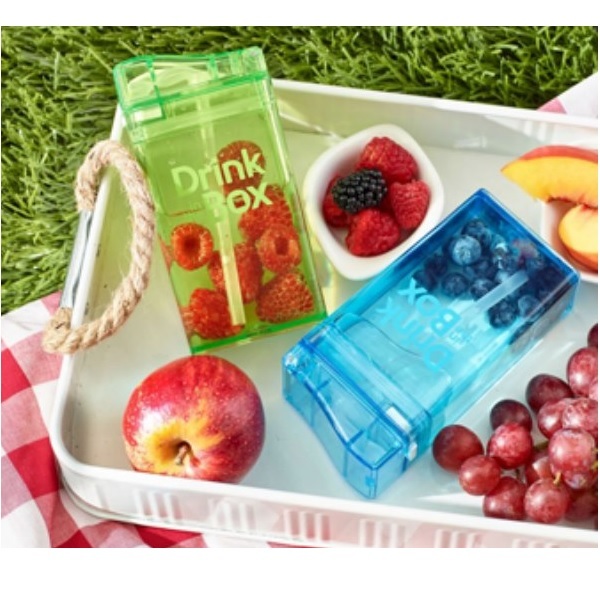 Dilute your drink or add fresh fruit to water, Drink in the Box is an attractive, leak and squirt-proof way to send drinks on the go with kids. 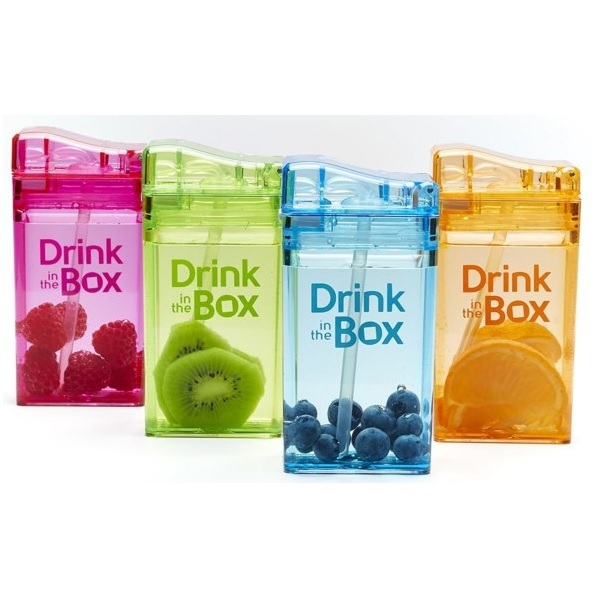 A sustainable and healthy alternative to disposable, artificial juice boxes! 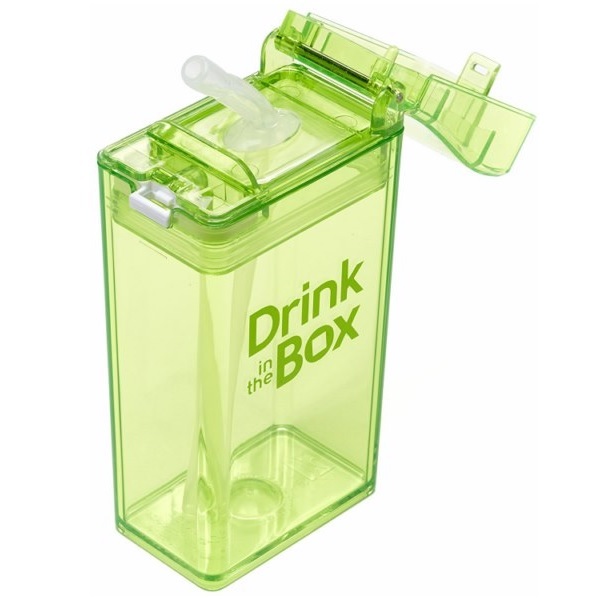 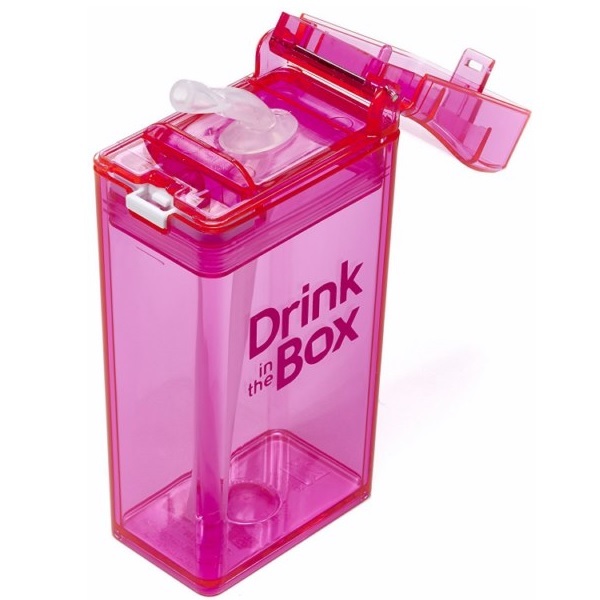 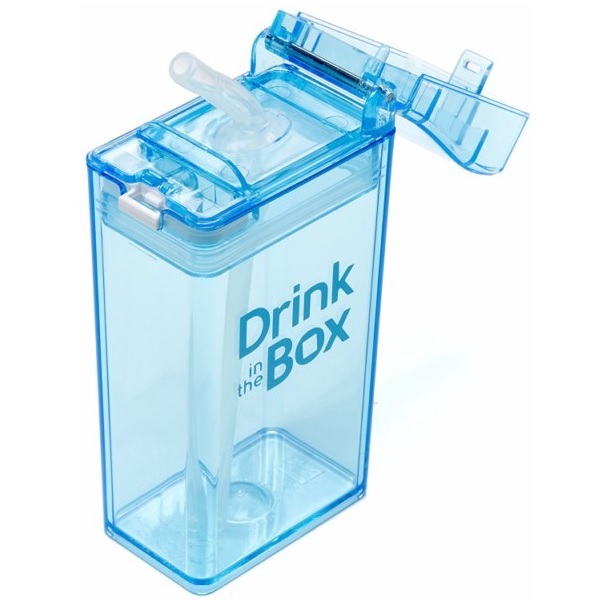 Drink in the Box is leakproof and squirt proof when the lid is closed! 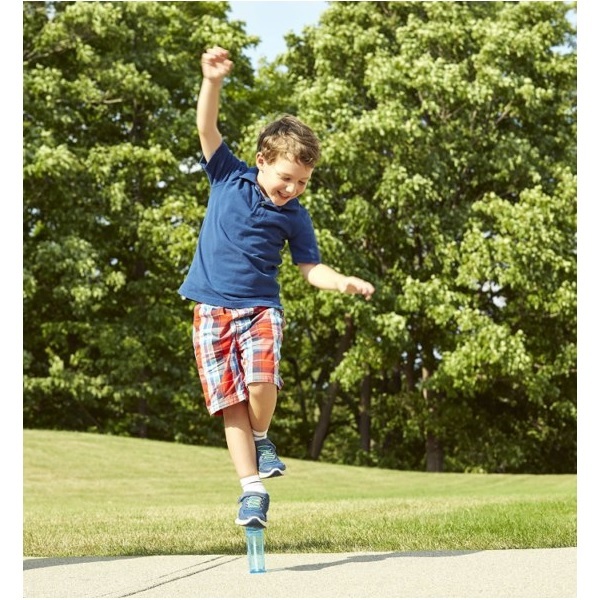 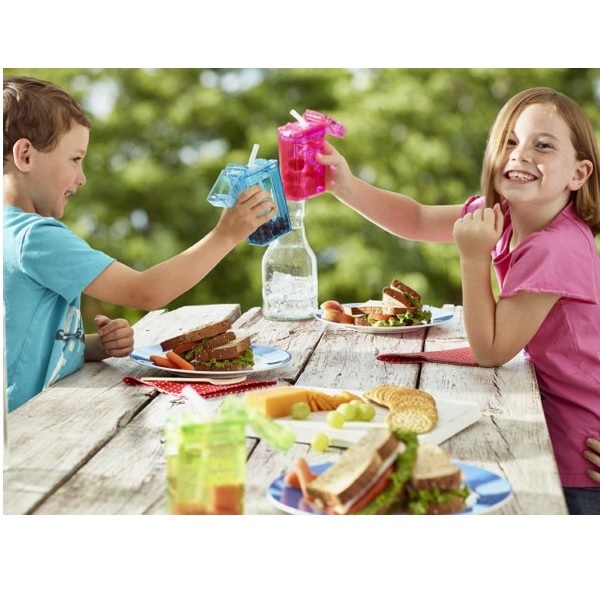 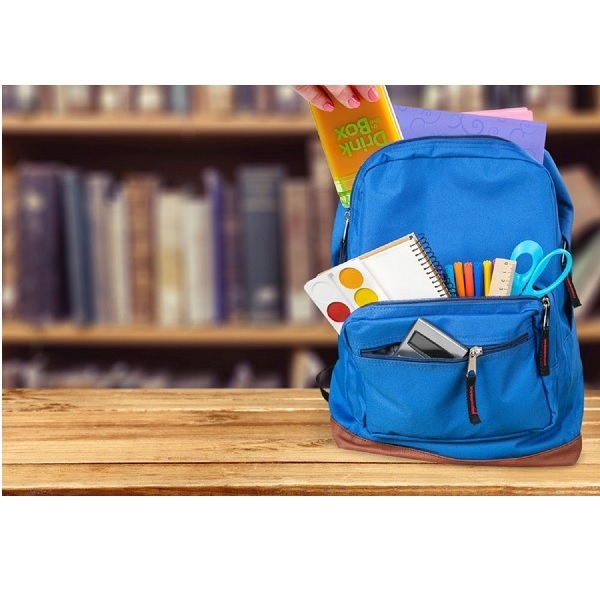 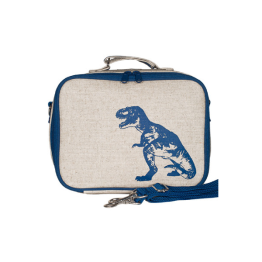 All food-safe materials, BPA, BPS and phthalates-free. 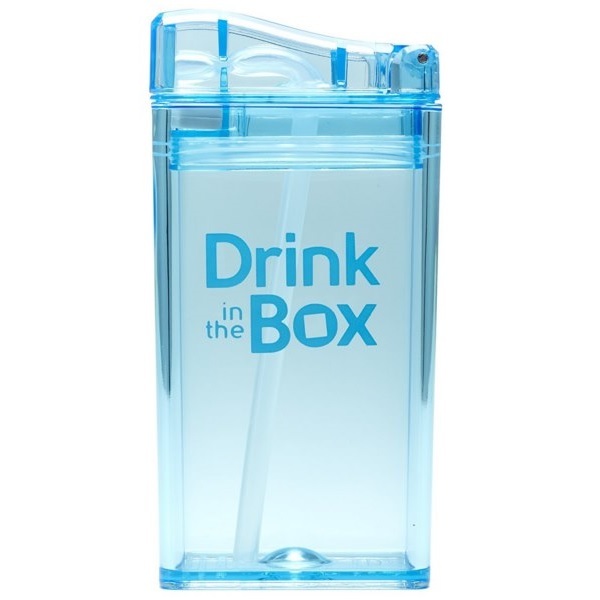 It is as clear as glass, but without the brittleness of glass. 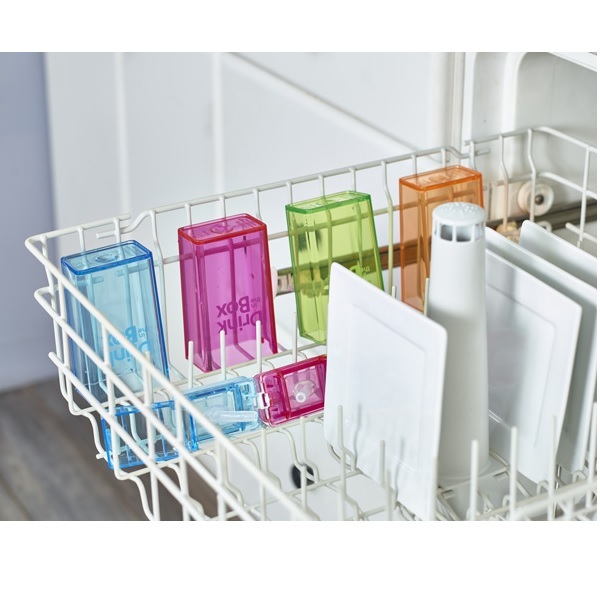 It won’t warp or crack in the dishwasher, and will not stain at all. 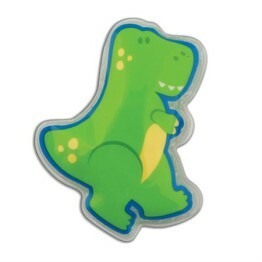 Made from US-made Tritan™, it performs better than glass, it can withstand drops, bumps, being thrown against the wall and tumbles down stairs. 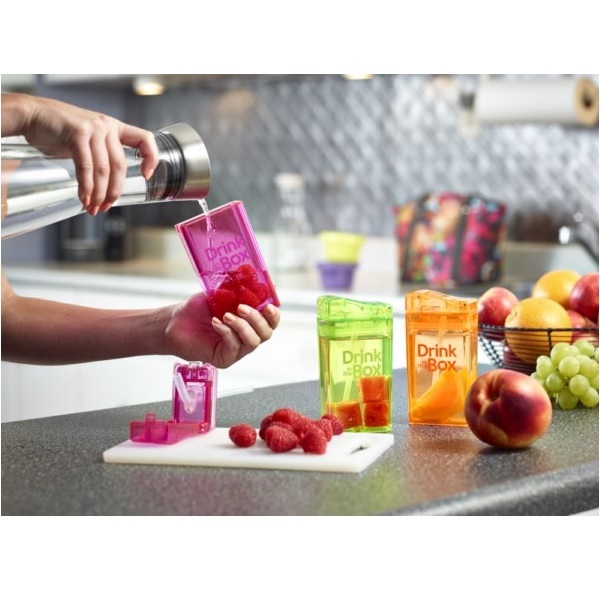 Unlike stainless steel, it won’t dent or ding! 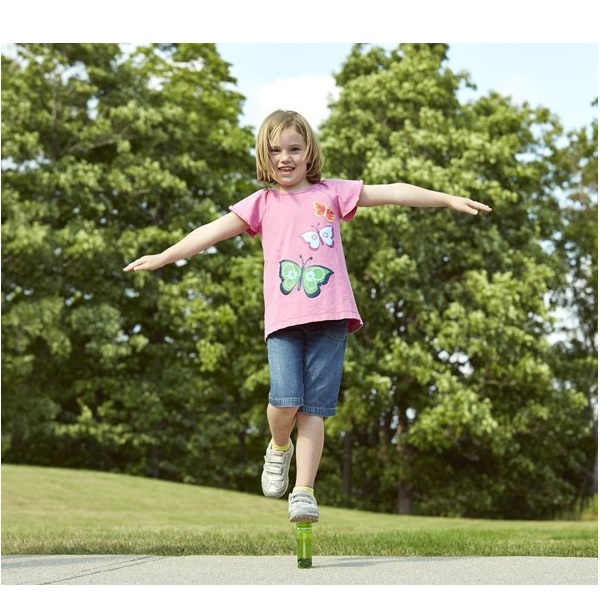 Kid-tested tough and will last for years! 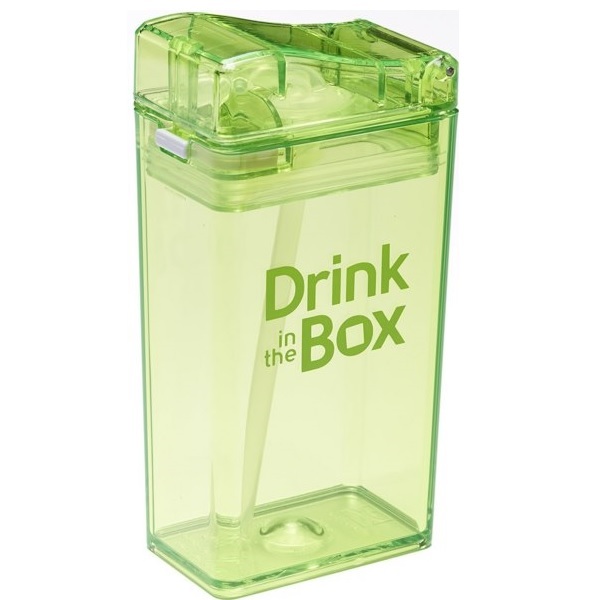 Drink in the Box is a high quality product which your family can feel proud to use – a product which is not only safe, functional, beautiful but also loved by kids!